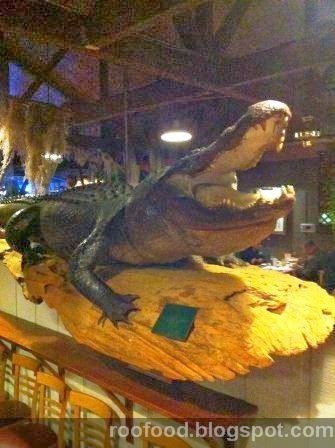 After the Cajun food tour, we decided (for some insane reason) to head to Prejeans for dinner. How we thought we might be hungry was silly after all the eating we had done. Sitting right in front of the Cajun band...I felt like a groupie. The menu is extensive and we had a hard time choosing. In true Roofood style, we over ordered for the two of us - sigh - when will I learn? 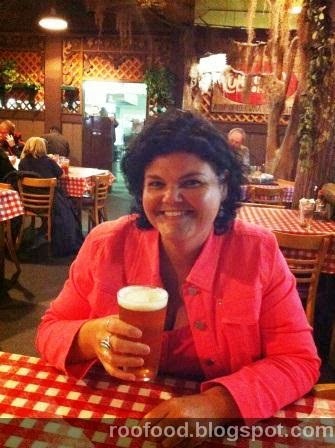 Starting off with a local brew (the name eludes me). 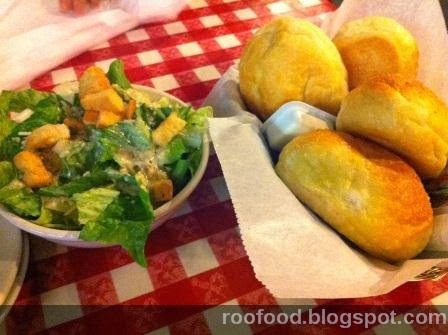 We start with a salad and some warm bread rolls. and then the feast begins. We opted for all Appetisers to share (or entrees as we Aussie call them). This is probably the dish that I preferred out of all three. The eggplant was crispy on the outside and softer and tender on the innards and the serving of lump crab meat was generous. The sweet Worcestershire cream sauce had an odd underlying taste that I couldn't figure out. The second appetiser choice was more for the novelty of trying it more than anything. I've never had a savoury cheesecake before. 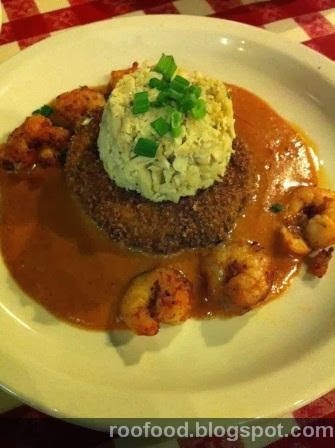 Louisiana crawfish and alligator sausage cheesecake - this is a savoury dish, not sweet. 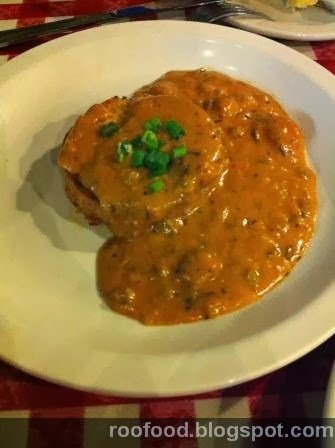 Crawfish and alligator sausage baked in a savoury cheesecake with smoked gouda and a Parmesan and butter crust with crawfish cream sauce. Odd combination of flavours but it sort of works. 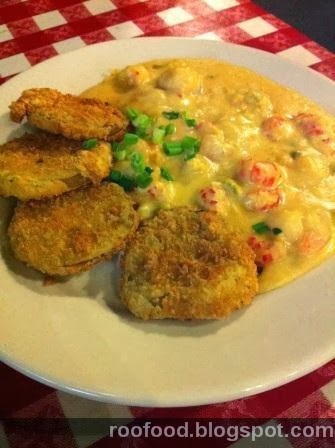 Thirdly (and thankfully lastly) Fried Green tomatoes - breaded and deep fried with sauteed crawfish and shrimp in a sherry cream sauce. These were average (aka disappointing). The green tomatoes were more raw than I've had before and the bread casing was actually quite hard. The cream sauce was very pasty and thick. 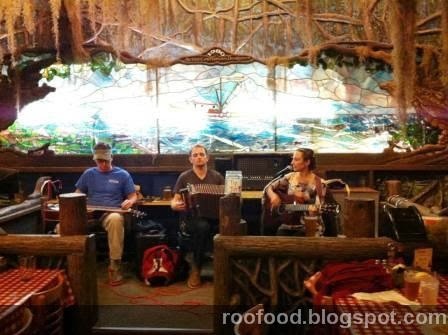 The restaurant itself oozes Cajun charm and the Cajun band was awesome. We came away thinking the meal alone was that good. Perhaps we just didn't have the appetite. I do know now that the dishes all had cream sauces, which I'm not always that great with anyway. 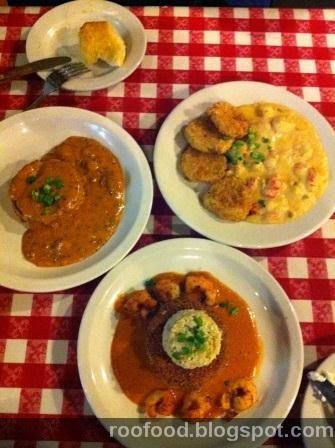 I would definitely go again to give it another chance (and choice wiser off the menu), if and when I visit Lafayette again. 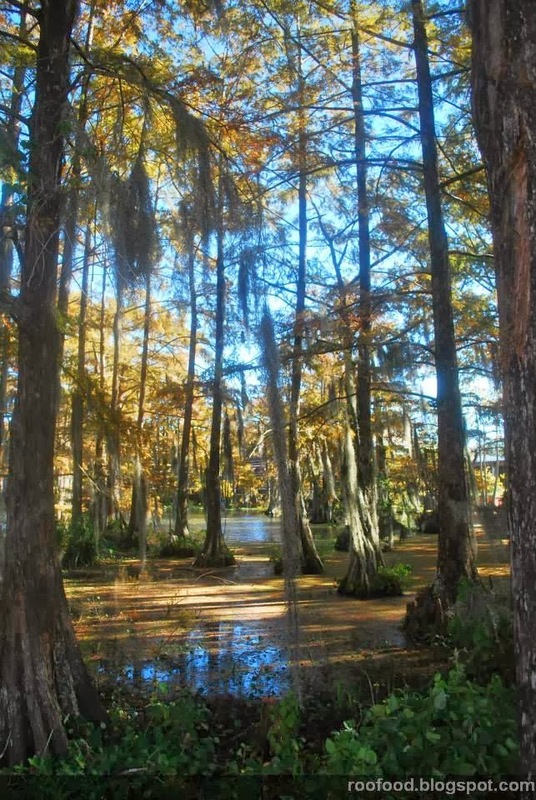 Behind the University of Louisiana (Lafayette Campus) there is Cyprus Lake, right in the middle of town. 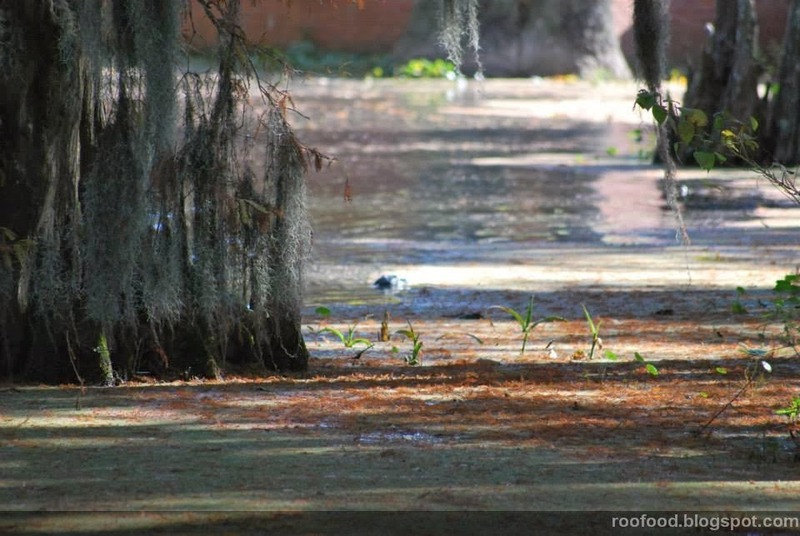 It's swamp like 2 acres of water and beautiful trees is home to birds, turtles and alligators! We had a pit stop here to check things out. The morning sun (and the bitter cold) was glorious and we did spy an alligator (you can just see his head in the middle of the photo below). Don't worry there is a half metre brick wall protecting you. 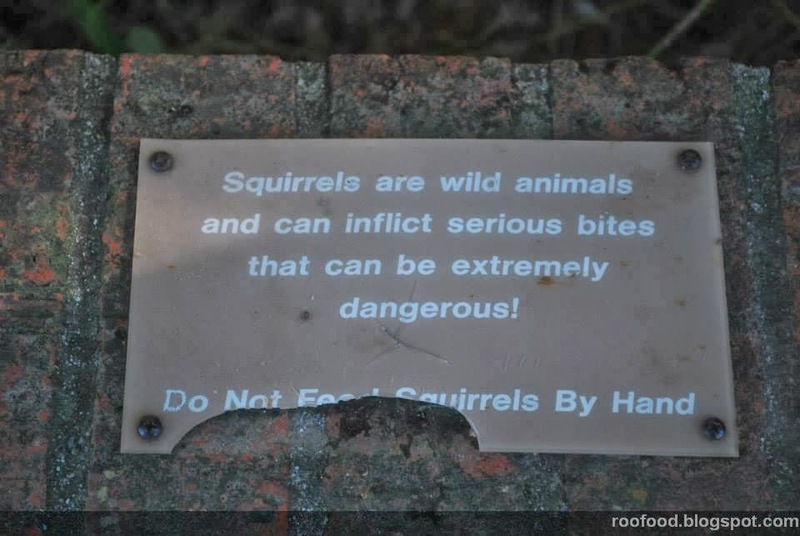 Look...squirrel - they are so dangerous! We were finally on our way (after another delightful breakfast at The French Press - see earlier review). 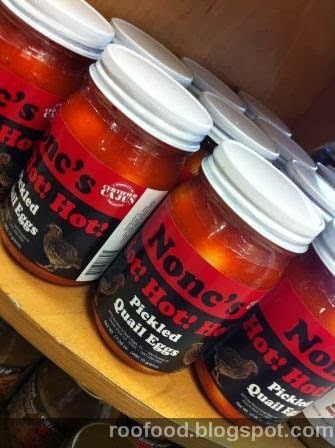 After the food tour yesterday, Marie had recommended a great stop for more cracklins'. 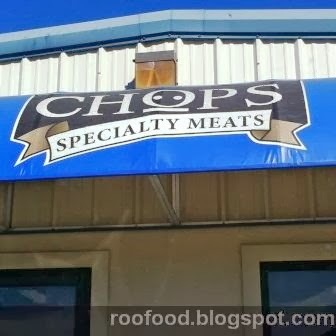 Chops Specialty Meats in Broussard (not to far from Lafayette). 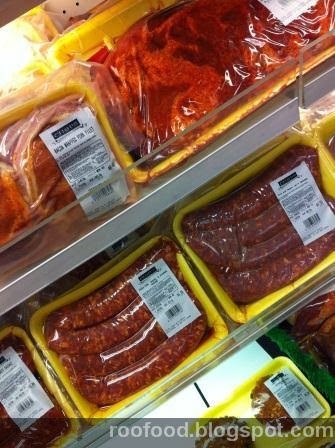 I just love that you can stop at random grocery stores and roadside places to get snacks like cracklins' and boudin. LOVE! 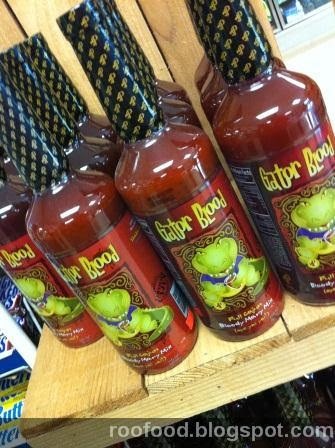 We got chatting to the lovely girl behind the counter and I mentioned that we had done the cajun food tour with Marie the day before and that she had recommended Chops. 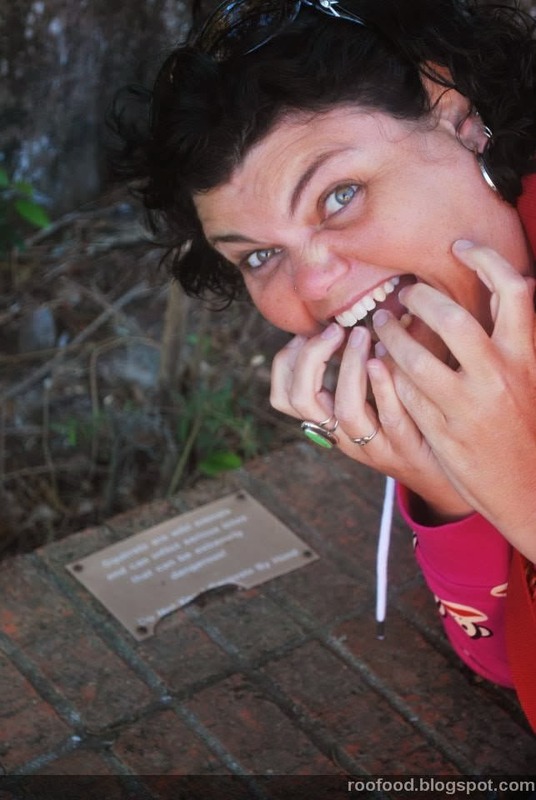 Next thing I know she is passing a generous bag of cracklins' to us (one each) - just because we were guests of Cajun Food Tours! How thoughtful...thanks Chops! We dove into the warm bag of porky goodness and I have to say I definitely prefer these cracklins to Earls. These are meatier, fattier and I liked the seasoning on them. 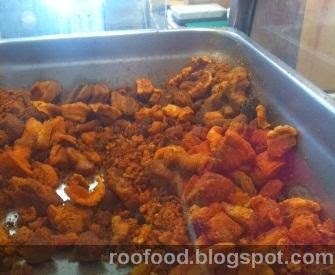 I ended up purchasing a jar of the seasoning to take home and we also purchased another big bag of cracklins' to take on our journey. serious crack addicts we are! 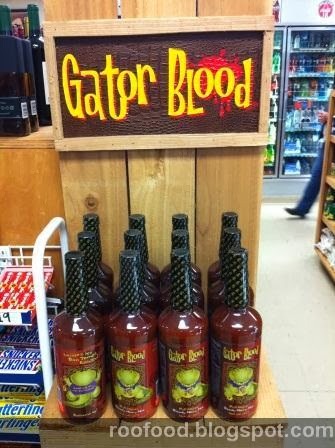 Gator blood - best bloody mary mix!